CONCORD, NH – New Hampshire Homeland Security and Emergency Management (HSEM) is working with state local and federal partners following reports of a 2.7 magnitude earthquake occurring 8 km southwest of Exeter. No damage or injuries have been reported. When an earthquake occurs: Drop! Cover! Hold on! First, drop onto your hands and knees and stay low--stay on your knees throughout the quake to protect vital organs. Second, cover your head and neck with one arm and hand and crawl to a nearby sturdy table or desk, or crawl next to an interior wall away from windows. Third, hold on to your shelter with one hand and be ready to move with your shelter as it shifts. If you don’t have shelter, cover your head and neck with both arms and hands. Hold earthquake drills in your home and office. If possible, cover your mouth with a handkerchief or piece of clothing. Do not move about or kick up dust. Hold an earthquake drill in your home and at your office. Complete a Family Emergency Plan and discuss it with your friends and family. This is a simple way of keeping each member of the family informed on critical information, including where to reconnect should you become separated, who to call, and what you will do should an earthquake occur. 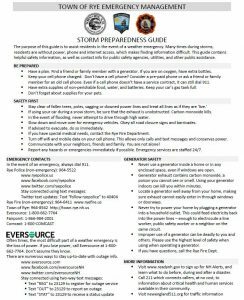 Complete Emergency Contacts Cards for each person in your family; one to keep with them and one for in your emergency kit. Complete an Emergency Kit and keep it in an accessible place in your home. You can get your Emergency Kit Shopping List at ReadyNH.gov. If you rent your home, renter's insurance is a great solution to protect yourself and your family from the cost of repairs and replacing your belongings. If you own your home, homeowner's insurance is the best way to be prepared for the costs associated with repairing cracked foundations, water or fire damage and paying to replace any destroyed belongings. Remember that you may need to acquire earthquake insurance in addition to a standard homeowner's insurance policy.